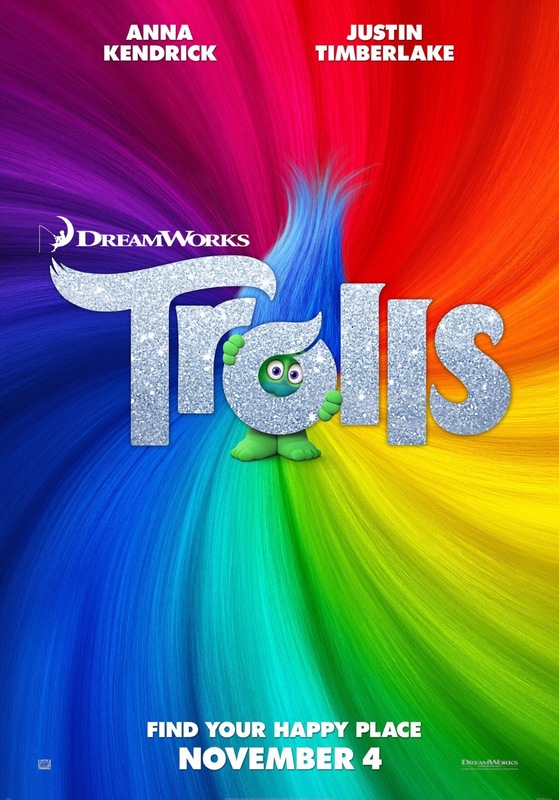 Trolls is the latest lazy, day glo, brain sapping, toy marketing, candy floss characterisation, cliched piece of tat to be glitter burped off Dreamworks Animation’s creatively baron production line. The poster tag line for the film is ‘Find your happy place’ and, as you may already have guessed, while walking past the seven foot, eye stinging, rainbow placard on the way into the screen this was not a message I comfortably took to heart. Yet after an hour or so of relentless perkiness, dancing, singing, flowers, sparkles and pop songs I gave in. Trolls is not sophisticated film making and it holds no surprises whatsoever but I did kind of enjoy it. It did make me happy. By the time that catchy Justin Timberlake song, the aptly titled ‘Can’t Stop the Feeling’, came on I was smiling. There is something about that tune that just cheers you up, it might be the bouncy beat, it might be witchcraft, but the same stubbornly upbeat sensibility fuels the film too.